It’s that time of year when we’re surrounded by incredible local produce at every turn, so much deliciousness we couldn’t possibly eat it all. So can it! 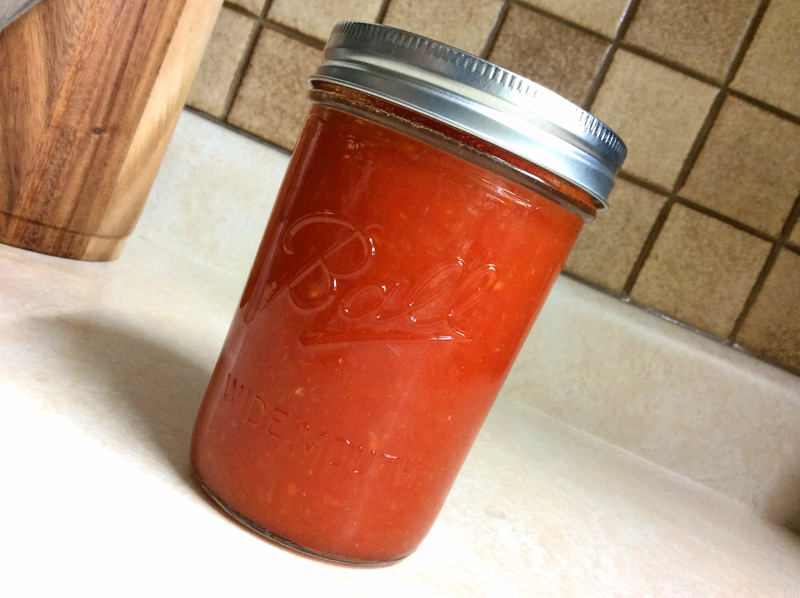 We’ve received quite a few requests for canning recipes and guides, tips and tricks. And while we are making every attempt to provide you with stellar answers, we must admit that we are not seasoned canners. But does that mean we can’t enjoy the process of packing little morsels of summer into jars so we can pop a honey vanilla peach in our mouth in the dead of winter and be transported back to that perfect sunny day with peach juice running down your arm in the park? No, it doesn’t. And would we ever suggest that our loyal and fabulous customers shouldn’t try their hand at pickling vibrant green cukes that are meant for a last-days-of-summer-BBQ Caesar? Never! No, we believe there’s something beautiful in getting your hands dirty and giving it a go. So, we rolled up our sleeves and jumped right in. 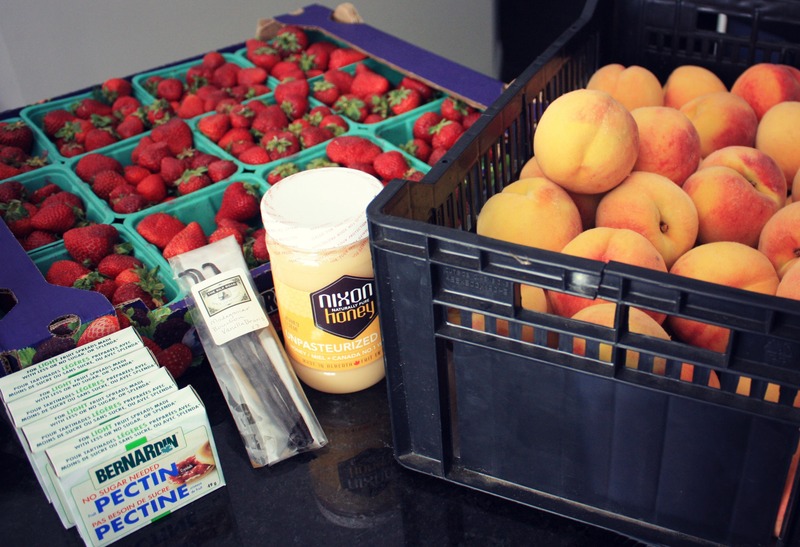 Strawberry Preserves, Honey Vanilla Peaches, and Dill Pickles… go big or go home right? Wanna join us? These are the things you’ll need. *We purchased a home canning starter kit from Canadian Tire that includes everything you’ll need for years of canning ($50); it includes a 21 quart canner, a rack, jar lifter, funnel, lid lifter, bubble remover, 4 pack collection elite decorative jars with lids, original crystals pectin and recipe booklet AND an instructional DVD for beginners. *We followed the steps included in the pectin box. Start by washing the strawberries and rough cutting into smallish chunks. Add to your pot with the lemon juice, zest, and vanilla. 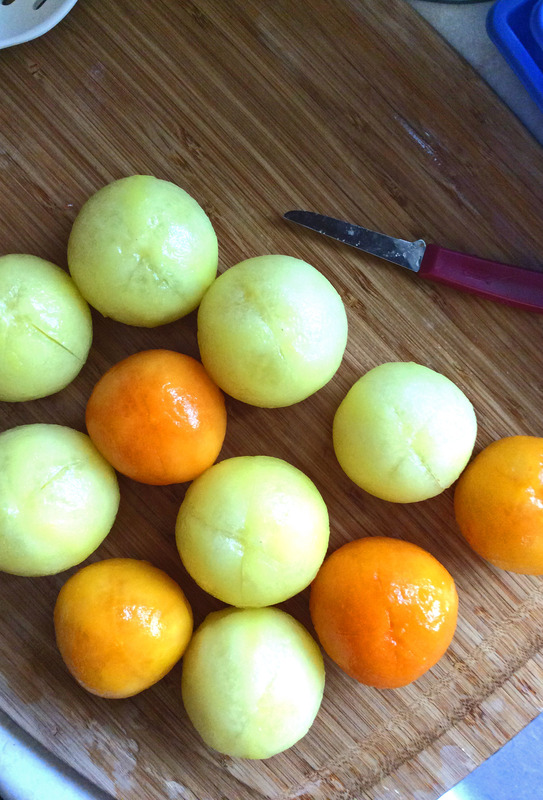 Bring to a boil, add pectin, and bring back to rolling boil. Add sugar, stir, return to a rolling boil for 3 minutes (as stated in the pectin instructions). While all of this is happening on one side of the stove, you should have your mason jars, lids, and metal bands/rings sterilizing in the canning pot on the other side. Funnel hot strawberries into hot, sterilized mason jars with 1/4 inch head space. Top with hot, sterilized lid and place ring (or metal band) on (do not over-tighten). Process the filled jars in your hot water bath (in canning pot) for 10 minutes. The lids will start to ‘ping’ and you’ll know they’re sealed. As a disclaimer, these strawberries are called preserves, not jam, because they don’t fig up like a traditional jam… but they taste darn good and are perfect on waffles, ice cream, scones… yum! Start by blanching the peaches in hot water for 1-2 minutes and then transfer to a sink full of ice cold water to stop the cooking process. You don’t want to cook the peaches, just shock the skins off and seal in some of the nutrients. Add more ice to the water to ensure it stays nice and cold as you continue with blanching the entire case of peaches. Now the peeling. Here’s where you can choose two based on your preference. 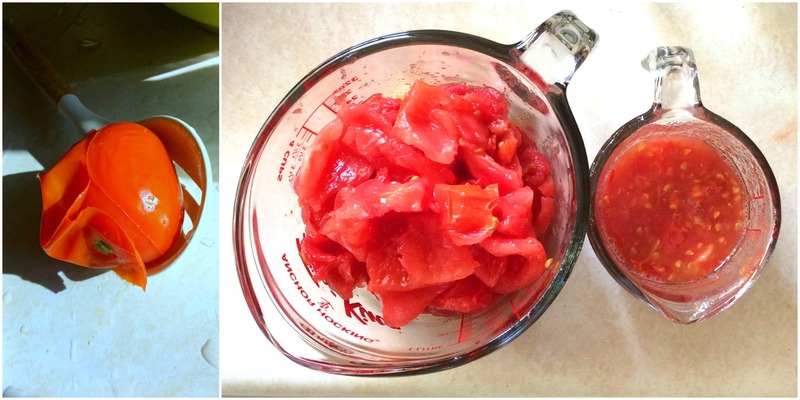 You can either half them and remove the pit, then peel the skins away and cut into quarters. OR, you can peel the skin away and try to keep the slippery little peach in hand while you quarter the fruit away from the pit. We actually found the latter to be more effective than the former, but it’s a personal preference. These quarters are far from Del Monte perfect… but should they be? Our hands made them and that kind of makes them yummier, no? Place all of the peach slices in a sink of cold water with the juice of a couple lemons (or Fruit Fresh); this will help prevent browning. Let’s get started on the syrup. We opted for a light syrup as we wanted all three ingredients to shine equally and not be overpowered with a cloying honey sweetness. 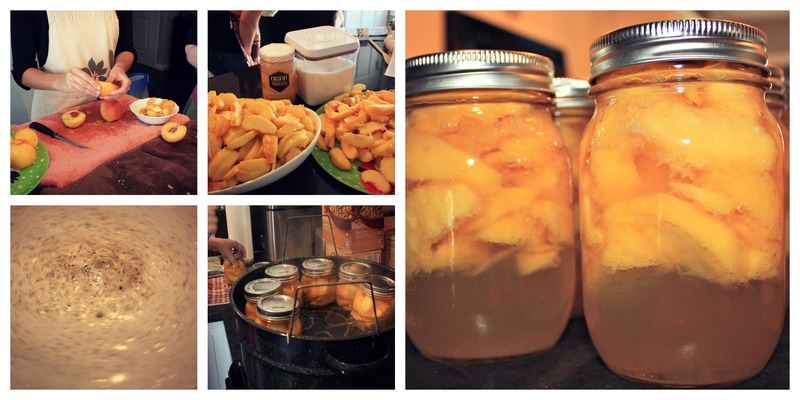 We use 1 cup honey to 4 cups water (and used this ratio 3x times to fill all of the peach jars). Heat water, honey, and seeds of the vanilla pod together until boiling. Pour honey syrup in hot, sterilized jars stuffed with peaches (pack them in, but don’t squish ’em) with 1/2 inch head space. Top with hot, sterilized lid and place ring (or metal band) on (do not over-tighten). Process the filled jars in your hot water bath (in canning pot) for 25 minutes. (Ensure that all jars are covered by at least one inch (2.5 cm) of water; cover canner and bring water to full rolling boil before starting to count processing time). ***Remove jars from water bath without tilting and place them upright on a protected work surface. Cool upright, undisturbed 24 hours; DO NOT RETIGHTEN screw bands. Peaches can be enjoyed a mere week after… they do not require a long steep time like pickles. Start by washing (gently scrubbing) the pickling cucumbers. Slice how you prefer; we chose to do them two way: spears in quarters and coins. Wash and cut cauliflower. Peel garlic. 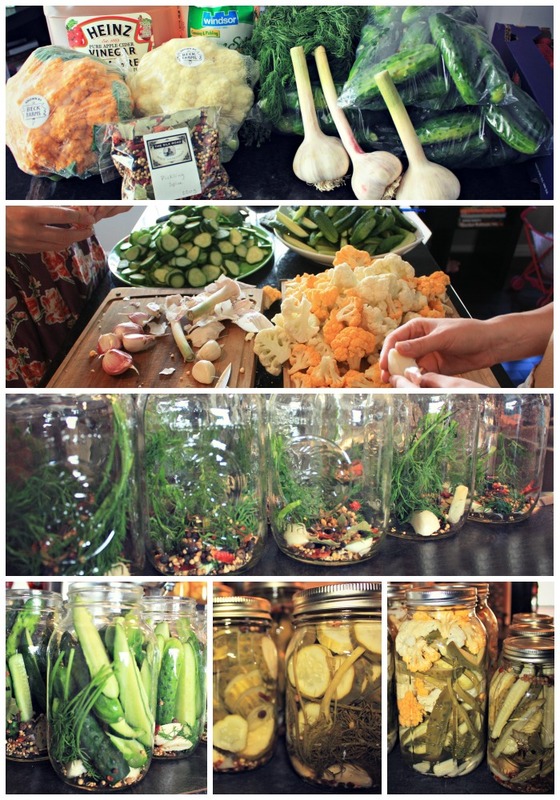 Place mason jars, lids, and metal bands/rings in the canning pot to sterilize while you’re making the pickling brine. *Some may find this brine too strong; you may choose to add more water but do not over-dilute the brine as this will affect the crispiness of the pickles. Bring the brine ingredients to a boil. Drop 4 cloves of garlic, a few fronds of fresh dill, and approximately 1 tbsp of Silk Road Pickling Spice into jars. (We used 1 tbsp in 500ml-1L jars, and 2 tbsp in larger jars). 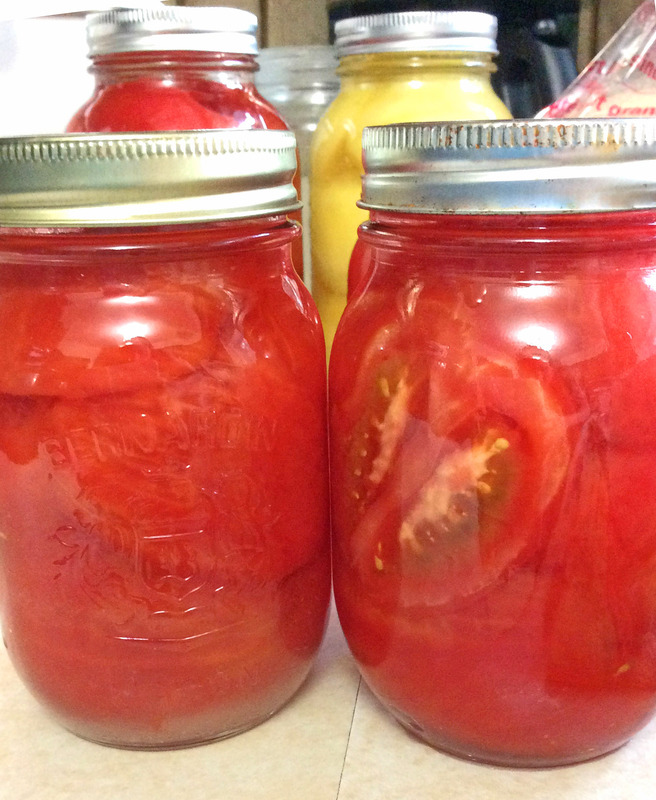 Pack your vegetables of choice into hot, sterilized mason jars and pour hot brine over them with 1/2 inch head space. Top with hot, sterilized lid and place ring (or metal band) on (do not over-tighten). Process the filled jars in your hot water bath (in canning pot) for 5 minutes. Pickles will require approximately 4 weeks of fermenting time before they’re at their best. We sure got a lot done! So, do you need to do all three of these in one day? Absolutely not! In fact, it’s a pretty aggressive undertaking. We do, however, think you should take a stab at one of them. There is a plethora of delicious canning recipes out there; you can find some of the ones we love on our Pinterest Canning Board. 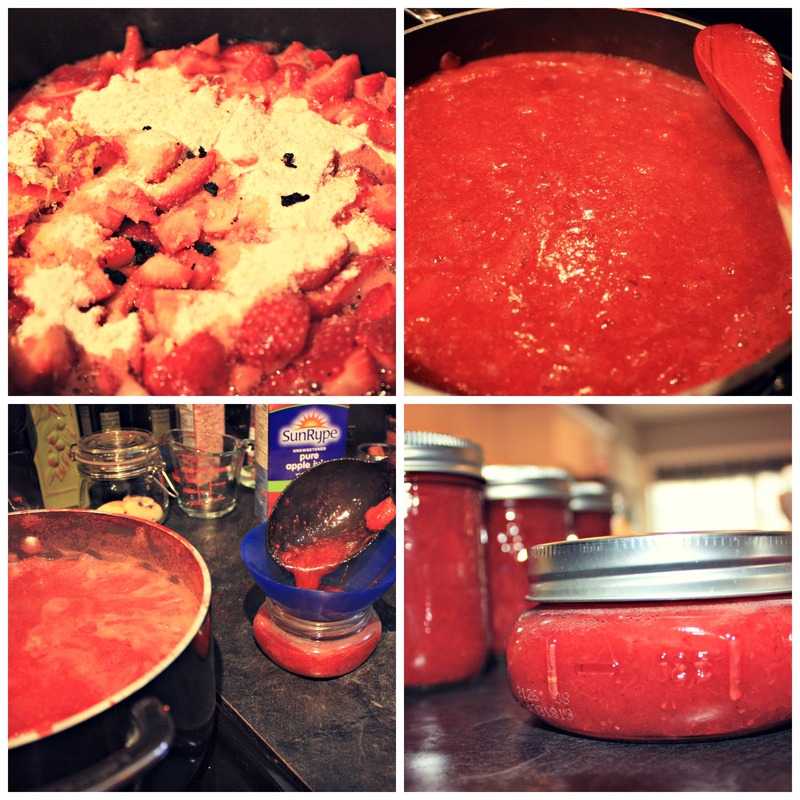 What will you be canning this year? 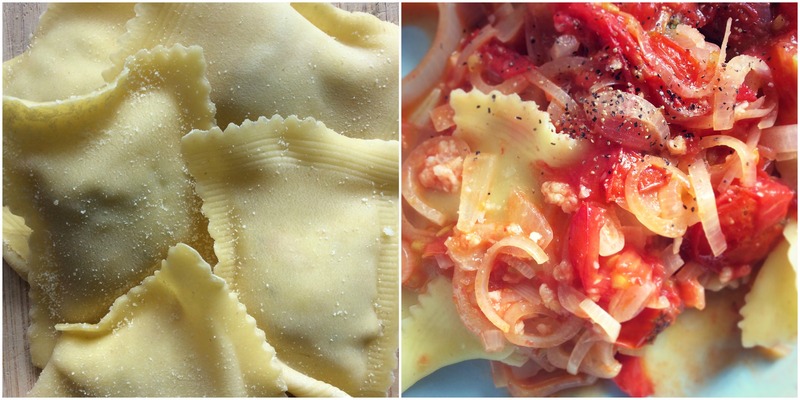 Do you have an interesting recipe to share with us? *A quick note on processing times: times will vary depending on the altitude you live at. For the purpose of our recipes, we have stated altitude-appropriate times for Calgary, Alberta. If you live elsewhere, you can consult this very useful altitude chart from Bernardin.